The Rhode Island Legislature approved the saltwater fishing license requirement and all anglers in RI now must have a saltwater fishing license for personal recreational fishing. Any Charter boat passengers in Rhode Island will not have to worry about this licensing issue. According to the RI DEM, fishing licenses will be available from this website: Click here for registration website. During the 2013 fishing season in Rhode Island your trips with Adventure Charters will not be affected at all by this requirement, everyone on the Adventure and the Adventure II will be covered by the charter boat license. If you are a charter boat, the Rhode Island Party and Charter Boat stickers must be affixed to your boat. If not, then each person on your boat will need a saltwater fishing license. You can't just carry the sticker with you, it has to be in place as directed on both sides of the bow per DEM regulations. 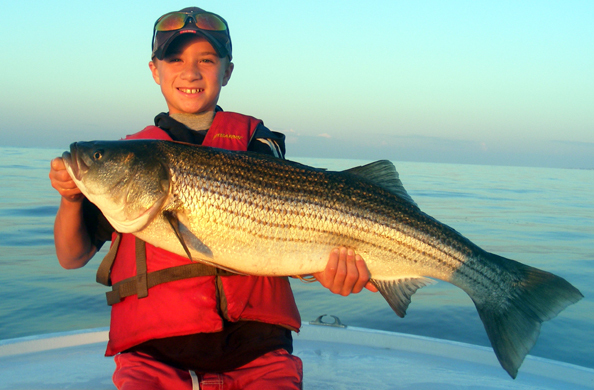 Have Fun fishing the Ocean State, Rhode Island in 2013!